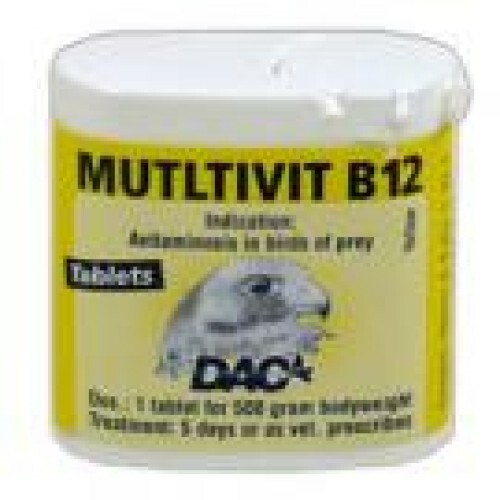 Multivit B12 by DAC is a multivitamin pill with an extra dose of vitamin B12. - Recovery after the flight. 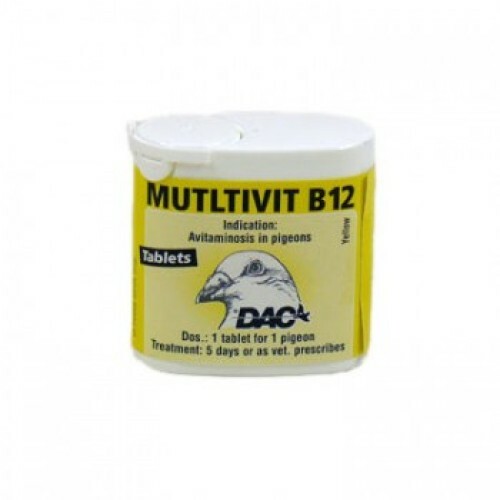 - Routine Treatment: 1 tablet per pigeon.